Experience ways of expanding your creative possibilities by exploring mixed media painting. Build multi-layered artwork using textured grounds while using your personal self expression. 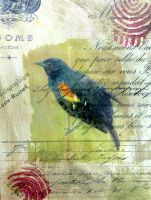 Develop you skills in techniques such as collage, mono-printing and photo transfer. Lori Goldberg was born in Vancouver, British Columbia where she currently lives, works, and teaches. 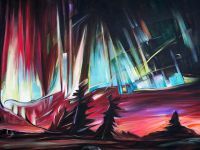 She has received critical attention for her paintings, through support and awards including a Canada Council Grant, and the Tony Onley artists’ Project scholarship. She is currently teaching at Emily Carr University of Art and Design.